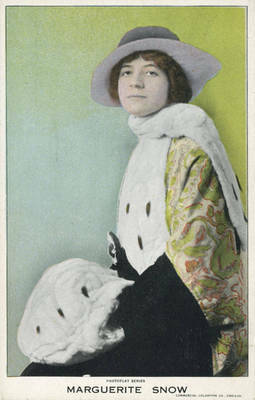 Tinted postcard of actress Marguerite Snow, one of the Photoplay Series produced by the Commercial Colortype Company, Chicago, ca. 1911. BW photograph, tinted; 5" x 3.25"